DMCM continued its run of annual award-winning success again this year with another great haul at the 2017 Smart Marketing Awards. DMCM won a range of Gold, Silver and Bronze Awards for clients and in particular SEAT Ireland and Volkswagen Bank. 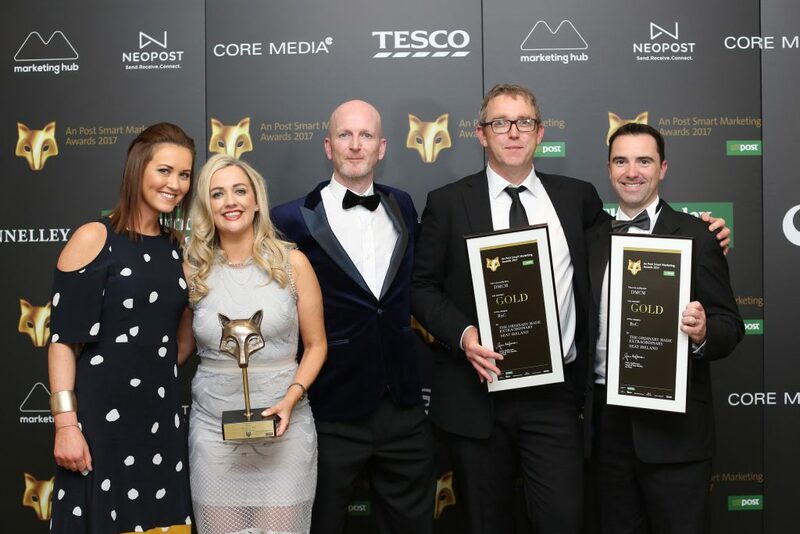 The Gold Awards were won in two of the most competitive and highly sough after categories – Business to Consumer and Direct Mail (High Volume). DMCM has won multiple Awards pretty much every year since it was set up in 2003. Below is a summary from the 2017 An Post Smart Marketing Awards. In addition to these some of DMCM’s campaigns for SEAT Ireland contributed to SEAT winning Gold for Marketing Team of the Year 2017. Award: Gold. Campaign: The Ordinary Made Extraordinary (SEAT Ireland). Sector: Industry Impact. Category: Business to Consumer.